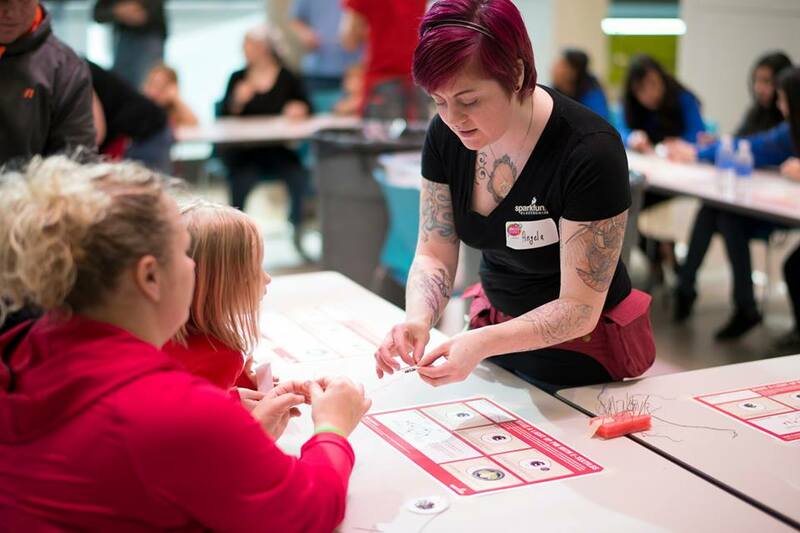 In this workshop you will learn the basics of electricity and switches by making a soft circuit light-up pin or backpack "buddy" (a badge or creature you can attach to your backpack with a keychain ring). Instead of wiring a circuit, you will sew one using an LED, conductive thread, and a coin cell battery. You will make a touch sensor or button or a switch using snaps or beads to turn the light on and off. The pin or badge can be of your own design, though we will have some lasercut felt pieces of robots, rockets, flowers and fireflies as well!